Nigeria’s former Minister of Finance, Dr. Ngozi-Iweala, has questioned the reason for an excessive attempt to batter her name and damage her reputation, saying it is malicious. 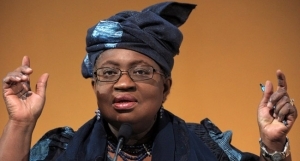 In reaction to clarification statements by Finance Commissioners on the use of the Excess Crude Account, which were made to clear the former Finance Minister of accusations that she misrepresented the facts, Dr. Okonjor-Iweala said that the persecution was very political. The spokesman for the former minister, Paul Nwabuikwu, in a statement expressed gratitude to the Finance Commissioners for their clarification on the use of the Excess Crude Account and for acknowledging that it was not an ‘Okonjo-Iweala issue’. “The statement clearly shows that Federation Accounts Allocation Committee is a statutory body which is chaired by the Minister of State for Finance in which all the states are represented. “Payments made were used for paying for petroleum subsidies for the Nigerian people and were approved by Mr President. “Therefore there is no question of mismanaging any resources here,” the statement read. He further clarified that Dr. Okonjo-Iweala did not at any time misrepresent what was discussed at meeting, emphasising that she did not say that FAAC approved such expenditures. “What she said was that all these expenditures were discussed at FAAC meetings attended by Finance Commissioners from the 36 states. “It is therefore clear that there was no misrepresentation by Dr. Okonjo-Iweala. “If monies were used to pay for subsidies for the Nigerian people and duly approved, why is Okonjo-Iweala’s name being battered in this way?” Mr Nwabuikwu questioned, insisting that the persecution should stop. The former minister has come under attack since her tenure ended with the last administration. In June, the former Minister of Finance has been accused by some governors of spending $2.1 billion out of the Excess Crude Account without authorisation. She refuted the allegation, insisting that it was false, malicious and totally without foundation.